This weekend it warmed up to a balmy 52 degrees. Yes, that doesn’t sound very warm, but compared to the 20-30 degree weather we have been experiencing the last few months, it felt incredible! We had a few rain showers here and there, so I threw on my trusty Hunters with white denim and a striped peplum top. I saw this top on one of my besties, Lauren of The Fashionista’s Diary, and KNEW I had to have it!! I kept checking the site on a daily basis and ended up ordering it in a size 8. It’s a tad big, but I love the oversized fit! It’s currently only in stock in a size 10, but keep checking back as it restocks frequently! cute outfit! Really like your top! That top is the cutest thing! Also, love your Hunter boots. What a cute outfit! That peplum top is so cuteand the pink hunters make the outfit so adorable. Happy Hump Day! What a cute top! It's a lot more relaxed than other peplum shirts I've seen! This whole look is so bright and happy for spring time. I love your bright hunters and the striped peplum top is so fun! I love this look for spring! The top is adorable, and those boots are so fun! I am loving your boots, and serious hair envy!!! That peplum is perfection! 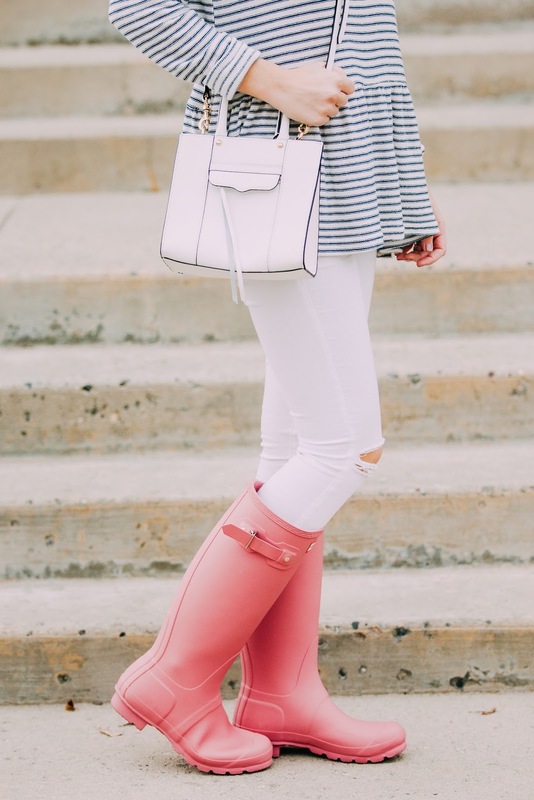 Love how you paired it with the pink boots too! I am obsessed with that top, I saw it on another blog and fell in love but it was sold out! I am going to stalk asos until it comes back in stock! Adorable look! So me. 🙂 I really need Hunter boots in that colour. Yay!!!! You finally got it and you look beautiful! You definitely rocked it better than I did. Love you so much bestie! 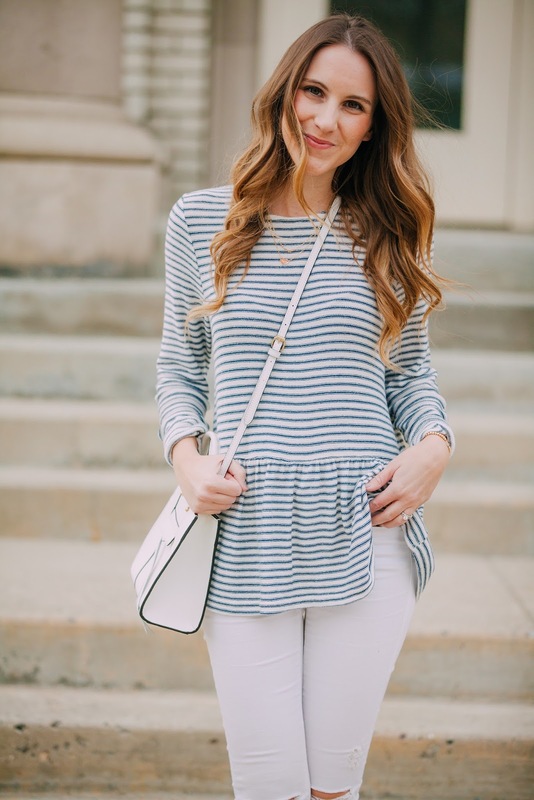 Love the peplum top! It's so cute!!! 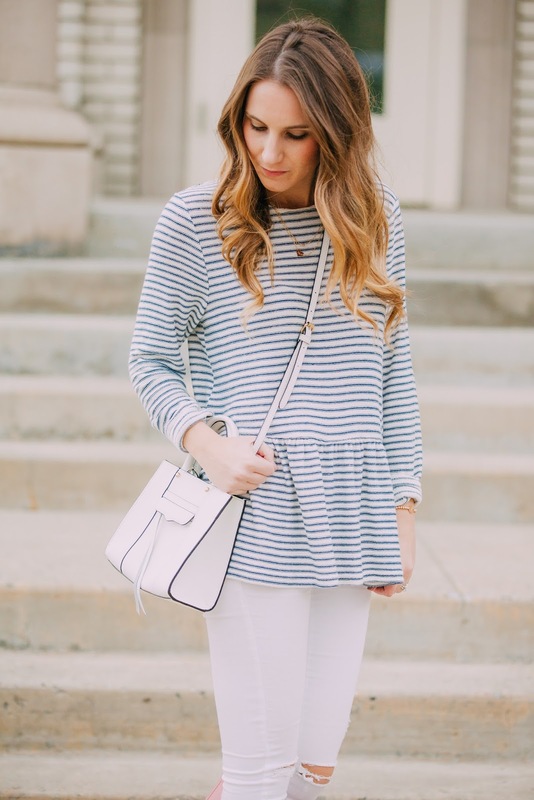 This stripe peplum is darling and it love that you paired it with Hunters! 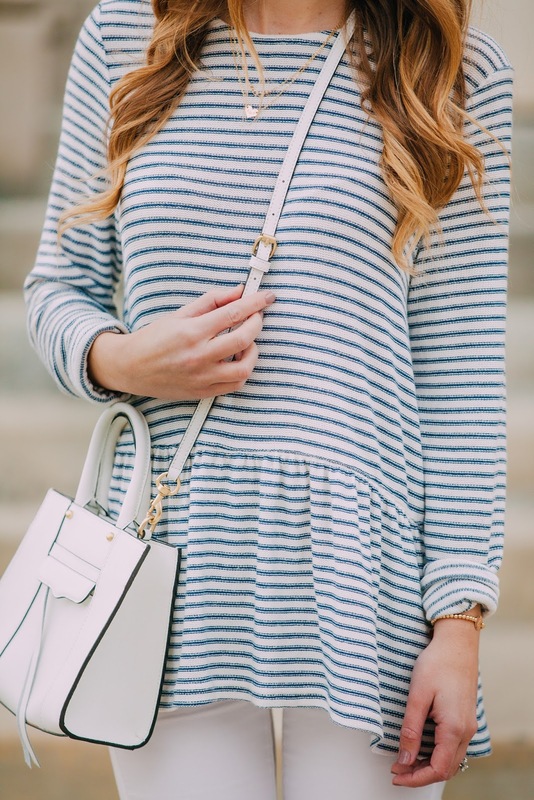 Such a cute Spring look.